Online Presence Builders was able to create and develop a new ECommerce website for The Krewe of Centaur. 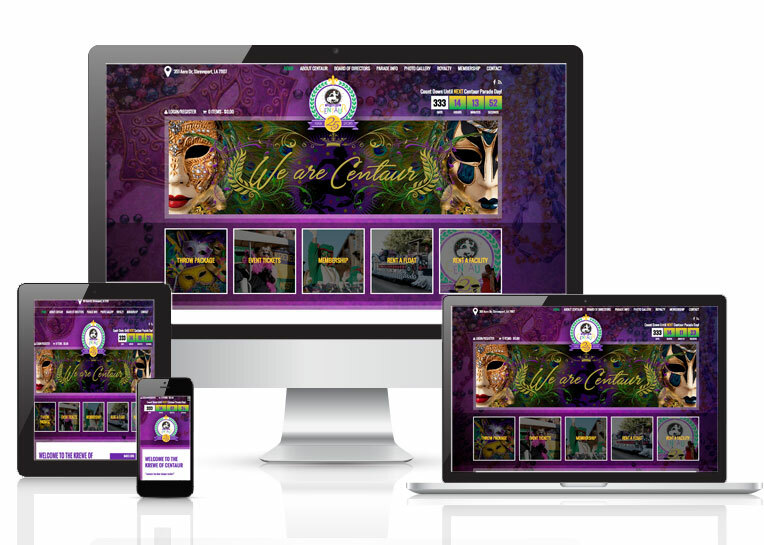 With an upbeat, fun Mardi Gras themed design, The Krewe of Centaur can easily manage and sell memberships, and event tickets offered on their website. The design is visually appealing, having content that search engines may easily navigate and rank. Using Woocommerce shopping cart software Online Presence Builders created significant pathways to successfully attain more members for the Krewe of Centaur through their website.